Chabad of Buckhurst Hill celebrated 5 years of service to the wider West Essex Jewish communitywith a special Canapé Appreciation Evening for over 50 close friends and supporters. Rabbi Odom and Henny Brandman, directors of the centre, which was started in Buckhurst Hill 5 years ago in the front room of their rented home, felt that this was a fitting tribute to the dedication and support of their partners who help keep the centre and all of its activities running and growing. Paul Groman-Marks spoke of the success so far but more importantly, the exciting times to come as there are further plans for development as the community continues to grow. 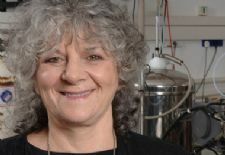 Oxford University’s Chabad Society hosted Nobel laureate Ada Yonath, who told 100 students and faculty members gathered at the Slager Jewish Student Centre of her journey from poverty to the height of her field. Yonath, a crystallographer who shared the 2009 Nobel Prize in Chemistry with Venkatraman Ramakrishnan and Thomas A. Steitz for studies related to the structure and function of the ribosome, echoed remarks frequently cited in the press that while being Israel’s first woman to win the Nobel Prize was certainly an honor, her only goal was to conduct research. 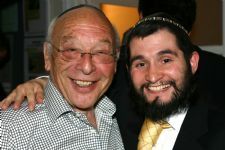 Veteran London educator Henny Sufrin, who co-founded the Chabad-Lubavitch center in the suburb of Ilford, Essex, passed away July 15 at the age of 76. As headmaster of the city’s Lubavitch grammar school, she touched thousands of young children, while her popular adult education classes drew thousands more Londoners over the years. 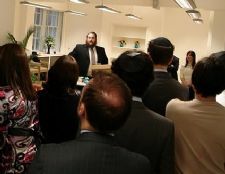 Chabad on Campus UK hosted a reception on Monday, 12 July, in Central London, for close to 200 supporters. 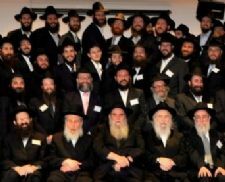 The event took place in Chabad of Bloomsbury's brand new venue located in the heart of London. The reception was held to pay tribute to the generosity and encouragement of the organisation's supporters, as well as to showcase the hard work of the emissaries serving students over the past academic year. 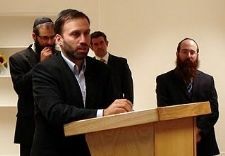 “Having this reception as the very first event in our new venue marks the expansion and growth of Chabad of Bloomsbury in particular and parallels the extraordinary growth of Chabad on Campus across the UK in general,” said Rabbi Yisroel Lew, director of Chabad of Bloomsbury, who welcomed the guests. After 45 hours of classes, 19 young women graduated this Sunday from the Bat Mitzva Discovery course run by Chabad of Whitefield, Manchester. Under the guidance of Sora Jaffe and Bassie Niasoff, the Bat Miztvah students have been participating in a unique course specifically designed by women for women. 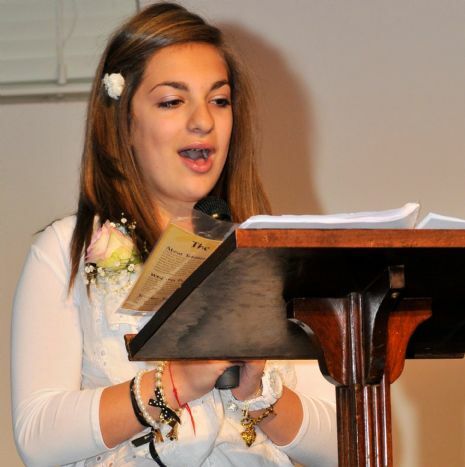 Since October 2009, they have been learning about what it means to become a Jewish woman and about famous Jewish women throughout history. At a special event held at the Hilton Suite, Prestwich, the young women shared what they have learned over the past seven months with their guest. The event concluded with a symbolic candle-lighting to honour all Jewish women throughout the generations.